I love the idea of making music. Whether it's through traditional instruments, or through the manipulation of digital audio signals, the whole idea fascinates me. I play a 5-string electric violin and the mandolin, and I'm always looking for new ways to bring the sound from those instruments (and anything else I can find!) to my ears. Somebody thought to stick their iphone into a guitar to watch the strings being played from the inside. Amazing. Note that the strings don't *actually* move that way. It's an effect of the rolling shutter. However, the visual effect is directly related to the note being played. amazing. Pardon the bit of foul language at the beginning. Once you get past that, you'll see the humor. 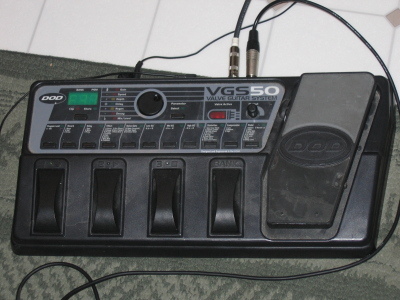 Back in 2007, I picked up this multi-effects board for a scant $10 and managed to get it working pretty quickly. One of the problems, however, is that the pedals didn't work consistently; the previous owner must have jumped repeatedly on the board, cracking the case and trashing the pedal supports. 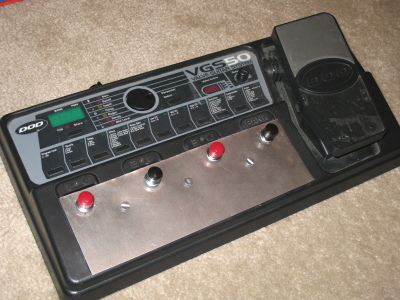 The only way to cycle through the different effects was to use the wheel, which wasn't useful for playing in a live setting. I've been feeling a little stir crazy living with my in-laws while our house is being built, so I needed another project to keep myself busy. 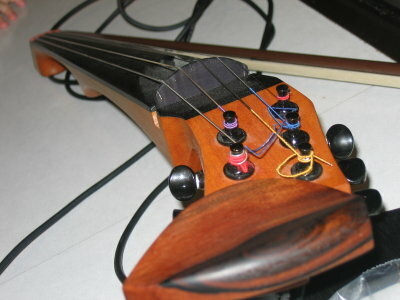 On top of that, I volunteered to start playing my violin and mandolin at the local church, and wanted to have my effects board in functional condition. After fiddling around with ideas, I decided that the easiest way to give myself access to the pedals was to bolt down a plate of steel sheet metal and drill out some spots for button switches, and then rewire/bypass the existing switches to the new ones. So that's exactly what I did. In case you're wondering, the buttons are mounted high on the plate intentionally. The plate is sloped, so if the buttons were mounted any lower, they'd actually dig into the circuit board below them. Here's a close-up of the new buttons mounted on the plate. The buttons are sturdy enough to handle light-to-medium tapping with shoes on, and I have no intention of jumping on the board. Here's the underside of the circuit board with the cover removed. 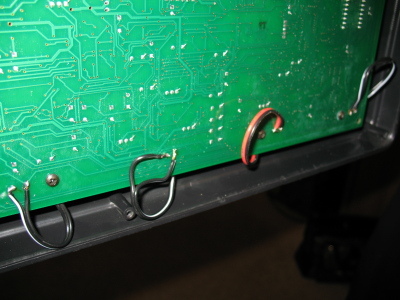 You can see the new bypass wires soldered onto the spots where the stock switches are mounted. It's a hank drum, made from a carved out propane tank. Beautiful. I really enjoy the idea of non-traditional musical instruments. In music theory, we discover that songs are generally set within keys, such that the notes of the song fall within a predictable pattern. It's all based on a magical relationship between harmonics and math, and it's really quite fascinating. Even more fascinating is that you can sometimes take two unrelated songs that are in the same key and play them together. Once it gets going for a little while, play this second video while the first one is still playing. You can let the first one go for as long as you want for hitting play on the second one, but the sooner you start the second one, the sooner you see what I'm talking about. And what's neat is that once the second video finishes (it's shorter than the first), just hit play on it again, and it picks right back up, with a different intensity. It's like the two songs were meant to be played together, but they're wholly unrelated. 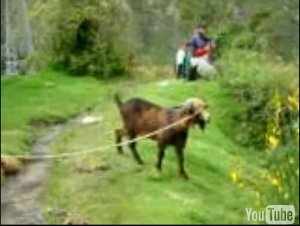 Big old hat tip to goon Choda Dog from the Something Awful forums for discovering the video connection.